Indiana’s HANKfest is one week away!! Get all of your details about tickets, artists, and more!! 97.1 HankFM will be hosting a country music party next weekend. HANKfest will take place in Indianapolis, IN at Indiana Farmer’s Coliseum on Sunday November 1st. Doors are scheduled to open at Noon and music beginning at 1:00 PM. This years HANKfest will feature concerts from Clare Dunn, Dan and Shay, Cassadee Pop, David Nail, Kip Moore and headlining this day long extravaganza will be country music sensation Darius Rucker. Clare Dunn is a country musician who is truly talented with an electric guitar! I had the pleasure of seeing Clare perform live and let me tell you, she is truly an entertainer. The amount of energy and raw emotion that she brings forth in her live performance is truly astounding. She has opened shows for the likes of Keith Urban, Florida Georgia Line, and Hank Williams Jr. Clare is currently on tour with Chris Young and was recently an opener on tour with Miranda Lambert as part of Miranda’s Roadside Bars and Pink Guitars tour. 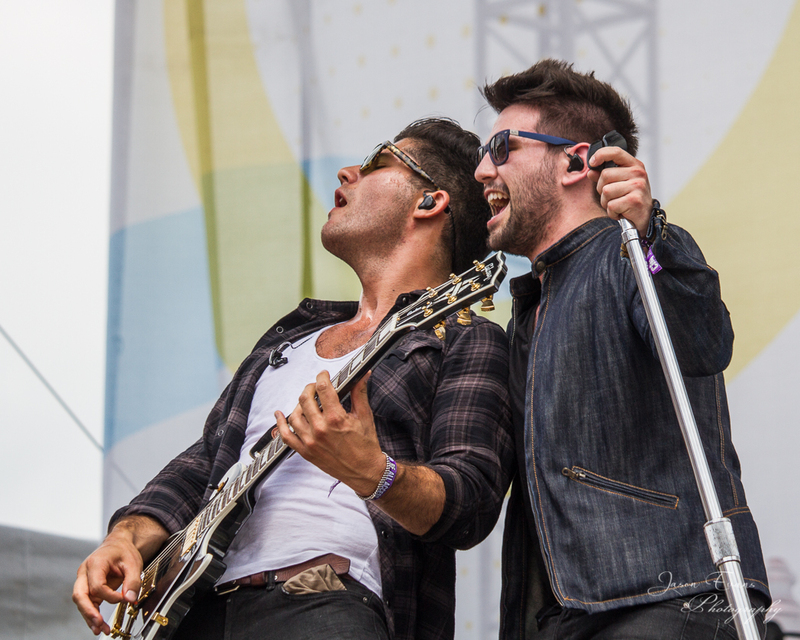 Dan and Shay is one of country’s hottest up and coming acts. The duo’s debut album, “Where It All Began” featured three top 40 hits including “Show You Off”, “19 You and Me” and “Nothin’ Like You”. Their onstage performance is full of energy and excitement as they work their crowds into a frenzy with their ongoing fan interaction. Dan and Shay have opened tours for Hunter Hayes and Blake Shelton before venturing out on their own headlining “Where It All Began” tour. The duo is currently on their second headlining tour titled “Just The Right Kind of Crazy”, featuring Kelsea Ballerini. David Nail has been busy hitting the road with Darius Rucker’s “Southern Style” tour this year. Nail has had three studio album releases since 2007 with MCA Records including “I’m About to Come Alive”, “The Sound of a Million Dreams”, and “I’m a Fire”. Fans are probably most familiar with Nail’s two #1 singles “Let It Rain” and “Whatever She’s Got”. Just last week, David was named by Billboard as one of Country musics top 5 rising country artists to watch. Check out the full article Here! are missing out! Kip has enough stage energy to perform many hours while captivating the audience and keeping their complete attention the entire show. Kip has a unique rawness to his voice that defines his style of country music all to its own. Before taking on his own headlining tour, Kip has toured with the likes of Lady Antebellum, Dierks Bentley and Tim McGraw. Darius Rucker has been one of country music’s top fan favorite artists since his transition from Hootie and the Blowfish. Since his transition into country music Rucker has released 5 studio albums including “Learn To Live”, Charleston, SC 1966″, “True Believers”, “Home for the Holidays”, and “Southern Style”. On October 16, 2012 Darius Rucker officially became a member of The Grand Ole Opry and will also be featured in an upcoming concert film titled “American Saturday Night: Live From the Grand Ole Opry”. Be sure to check out all of these great artists as they take the stage at this years HankFest! Performance times and schedules will be determined the day of as they will take place as the artists arrive at the venue. Tickets can be purchased for just under $50 at TicketMaster but be sure to visit HankFM for one of their Free Ticket Giveaway locations. Parking will be available at the venue for only $5!! Beer and mixed drinks will be available for purchase.